So this is what I wore on my last day at NYFW. 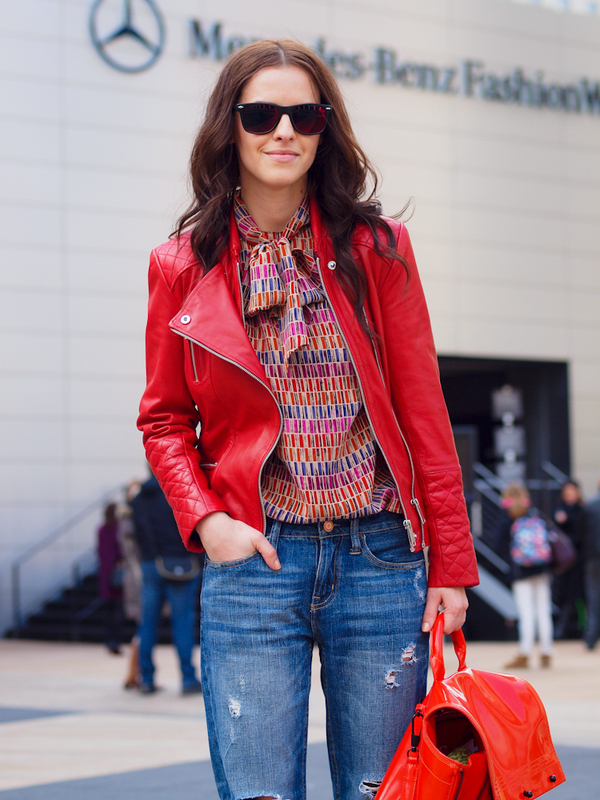 I opted for a more casual approach, pairing a red leather jacket with ripped jeans and heels. I wore this look at Misha Nonoo's Presentation that took place at the great Standard Hotel. I must say that Nonoo's collection was a little bit closer to my origins and I loved that. 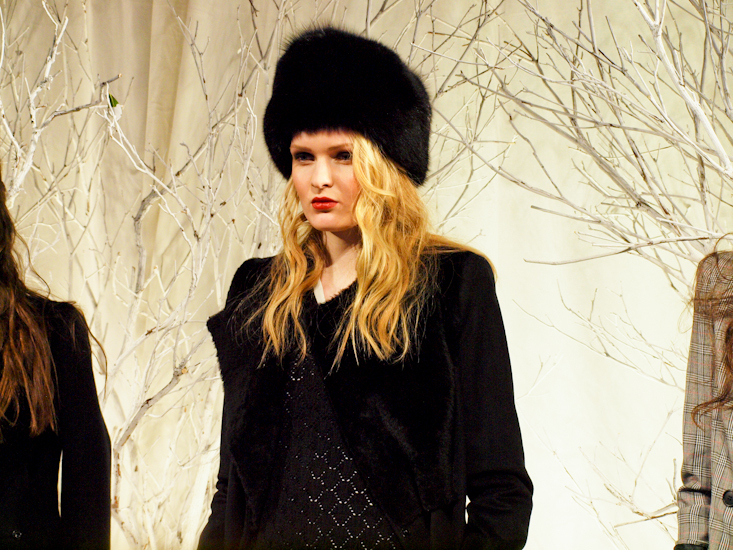 Russian inspirations with the specific fur hats( my mum had one like this) and long military coats. My trip to N.Y for Fashion Week coming to an end was so bittersweet but I'm so grateful for everything and I want to thank one more time to Polyvore team for this incredible experience and also for the great accommodation at the Hudson Hotel! 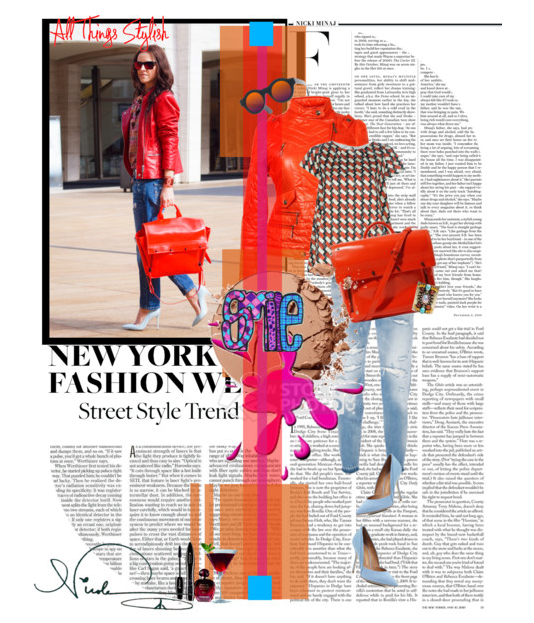 Polyvore you are the best! really nice veronica. i like your jacket! great jacket, love the bold red. i love your blouse and the bag! so chic! great post! you look gorgeous! Very cute as always! Love that blouse! You look fantastic! loving this entire look but the print on that blouse is divine!!! Amazing look! Lve your blouse! In love with the jacket. Love the bold reds, they look fantastic with your complexion. Also that Lim bag is to die for! Veronica, a great outfit, still in harmony with each other! love the pics and the outfit! the bag and the shoes are wonderful!